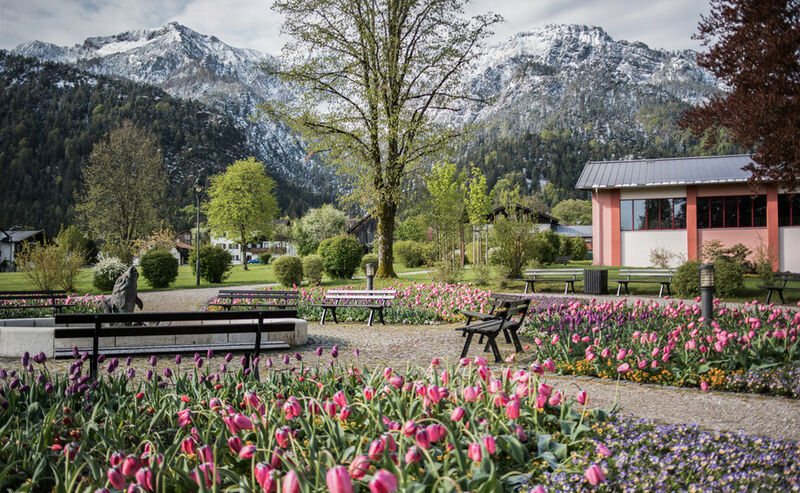 Bayerisch Gmain is located about 100 meters higher than Bad Reichenhall; thus forming a restful sun terrace for the Alpine Town. 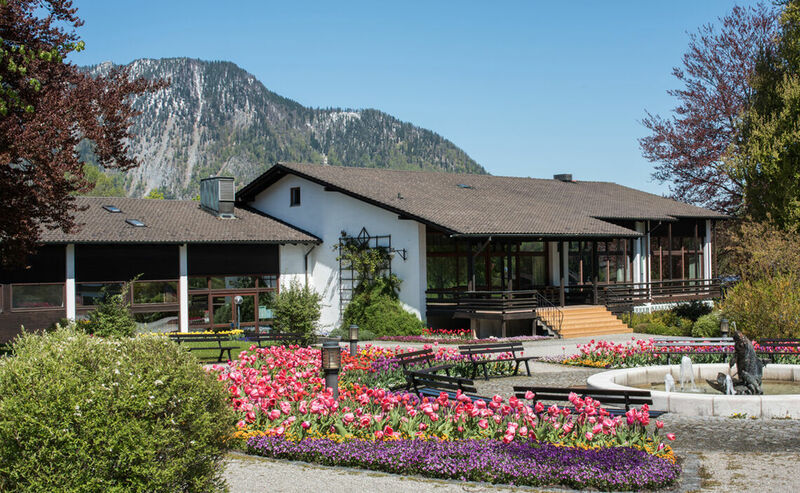 Here, close to nature, Bayerisch Gmain is known as the ‘prettiest corner’ in the land and affords magnificent panoramic views of nature in a privileged area located between Salzburg, Bad Reichenhall and Lake Königssee. Bayerisch Gmain’s landmark is the Schlafende Hexe (Sleeping Witch) an easily distinguishable outline in the Lattengebirge Massif that is the stuff of legend and ancient tales. 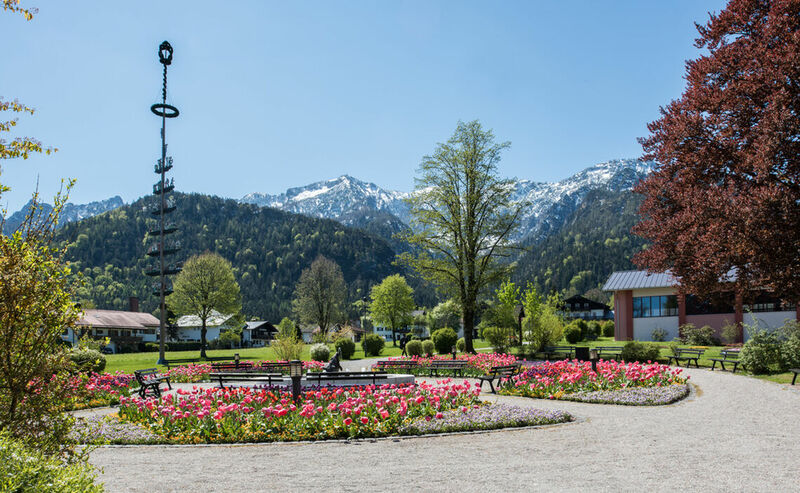 As early as the 8th century the name ‘Muona’ was used to designate the farming settlement Bayerisch Gmain and Grossgmain, the latter located in neighboring Austria. The community most likely served to supply those working in Bad Reichenhall’s salt production. 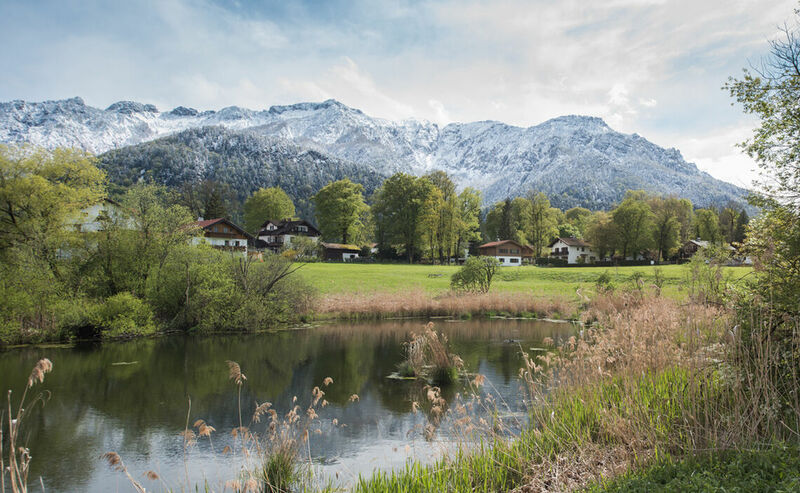 Around Bayerisch Gmain extensive highlands ranging from 550 to 1738 meters offer an abundance of hiking options. Interesting themed trails such as the ‘Castle Trail’, the ‘St James’ Pilgrimage Trail’, the ‘Corn Trail’, the ‘St Rupert Trail’ or the ‘Alpine Salt Trail’ all wait to be discovered. 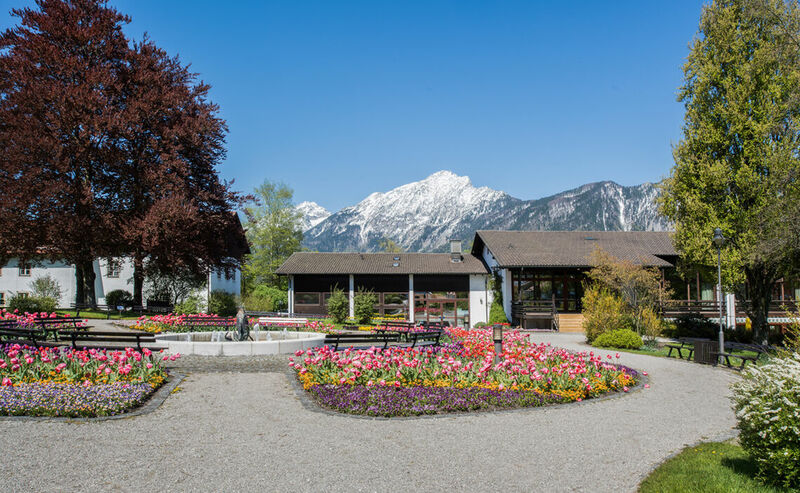 The Alpine Spa Garden is a major attraction and the starting point of numerous hikes that offer stunning views. 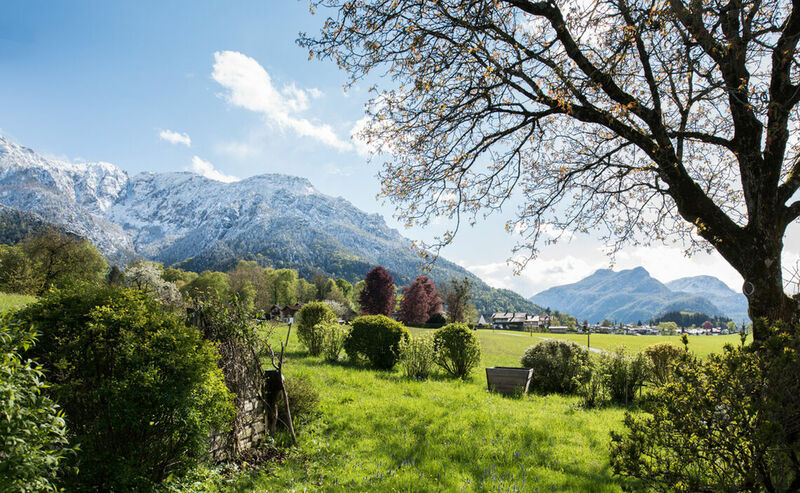 Walkers are more than welcome in the ‘Gmona’ region, as locals call it, where they can find three Nordic Walking trails of varying levels. In addition one can play curling, beach volleyball or go rock-climbing, biking. In winter, sledding offers thrilling descents on an illuminated run while some may prefer hiking, snowshoeing or cross-country skiing. Walking in the enchanting and sparkling white winter landscape makes for unforgettable experiences.